The most comprehensive services for Hyundai car financing in Edmonton, Spruce Grove, St. Albert, Sherwood Park and beyond are available to you at West Edmonton Hyundai; we will find the car loan or lease option that works best for you. Our team of experienced new-car financing, used-car financing and car credit specialists has the expertise and financial resources to get you a great rate on a car loan in Edmonton - Alberta's most well-connected in fact - so you can get into your new dream Hyundai or outstanding pre-owned vehicle, without delay. Financing a new vehicle or pre-owned car in Edmonton has never been so easy! 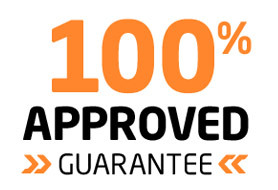 We are here to make the process of buying a new or pre-owned car as simple as possible. Work with a finance specialist at West Edmonton Hyundai and you'll be glad you did! Get approved for a car loan right now by completing our secure online finance application form. We will contact you as soon as one of our experts has reviewed your application. Anxious about whether you can get approved? Learn more about our specialized 2nd chance credit services! While you're waiting for credit approval, take a moment to browse West Edmonton Hyundai's online inventories and find your perfect new Hyundai or pre-owned car. The staff at West Edmonton Hyundai are always available to answer your questions about purchasing a vehicle or getting a car loan in Edmonton.